What’s for breakfast? That entirely depends on where you are. 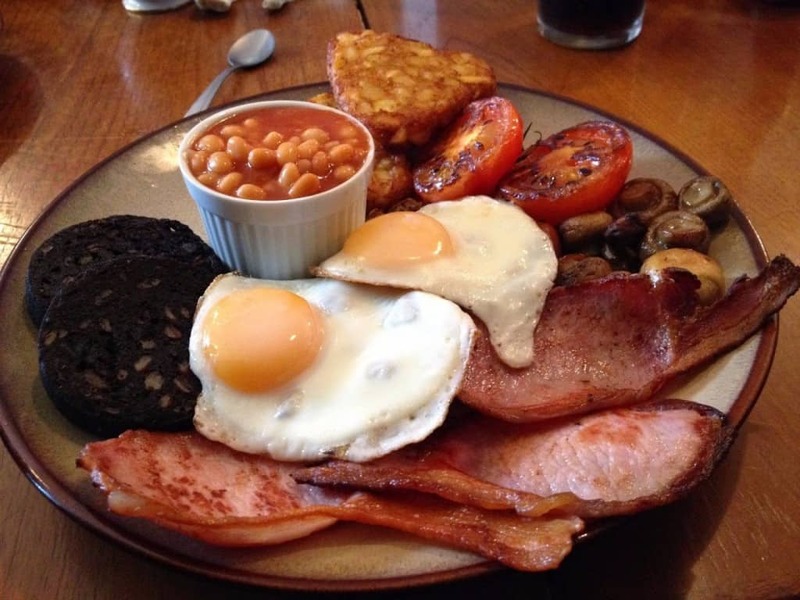 If you’re in England, an old-fashioned fry-up might be in order, complete with ham, sausage, beans, and eggs. 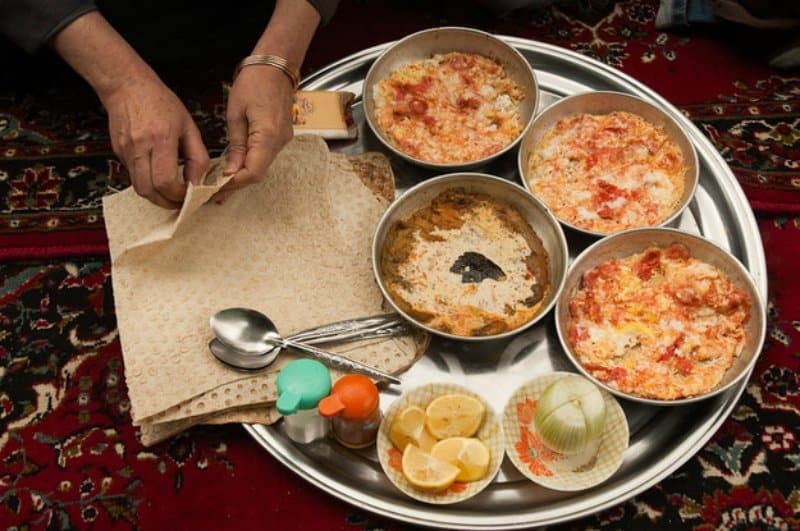 In Iran, a simple meal of bread, cheese, and black tea would suffice. There’s a world of difference in how humans enjoy the most important meal of the day, but we can all agree that a good breakfast makes us feel just awesome. We hope you aren’t hungry, because our list of 14 breakfasts from around the world is simply mouthwatering. 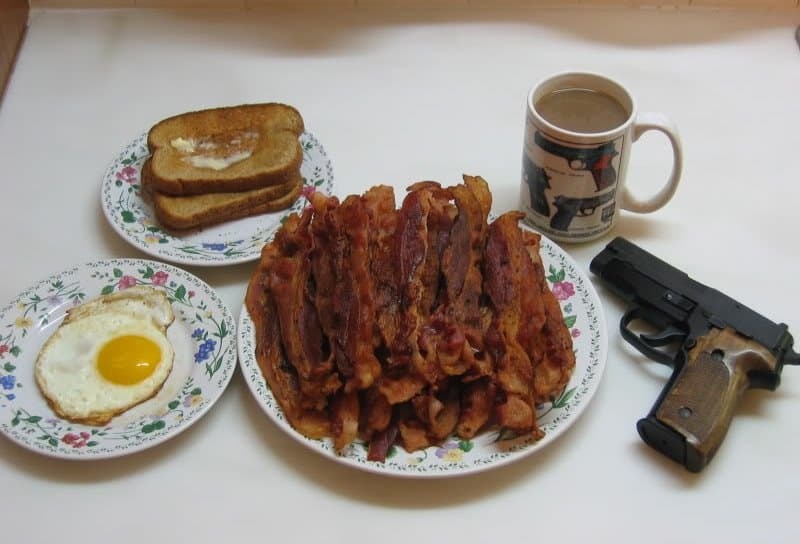 This is a comic exaggeration of the typical meal an American might eat for breakfast (complete with table-side firearm). Americans typically consume a pan fried meat dish, like American bacon (chewier than the bacon found in most countries), along with eggs, toast, hash browns (scrambled potatoes) and orange juice or coffee. Across the pond, you might enjoy a full fry-up, complete with eggs, bacon, black pudding, beans, potatoes, and tomatoes. 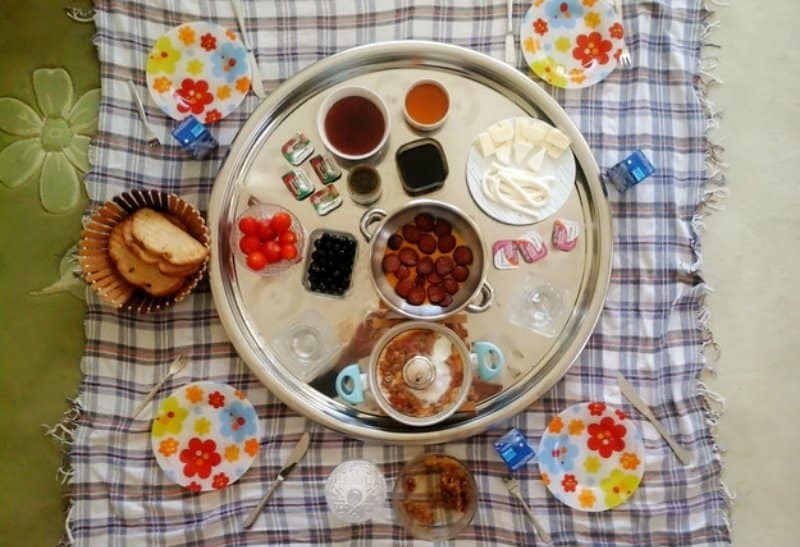 Iranians often enjoy a simple breakfast of tea, bread, feta cheese, nuts, and fruit. 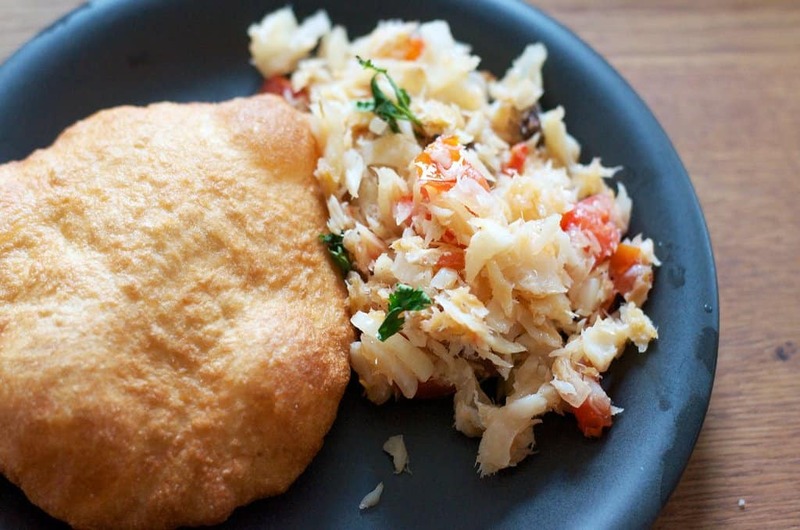 People in Guyana might enjoy a bake and saltfish for breakfast, which is fried dough and fish preserved with salt. 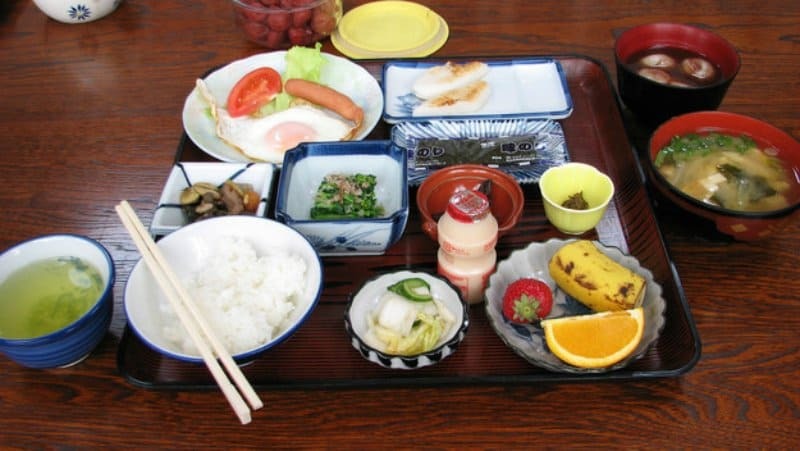 A traditional Japanese breakfast consists of rice, fish, miso soup, soy beans, and seaweed. A modern breakfast more closely resembles the Western standard, with toast, eggs, coffee, and potato salad. 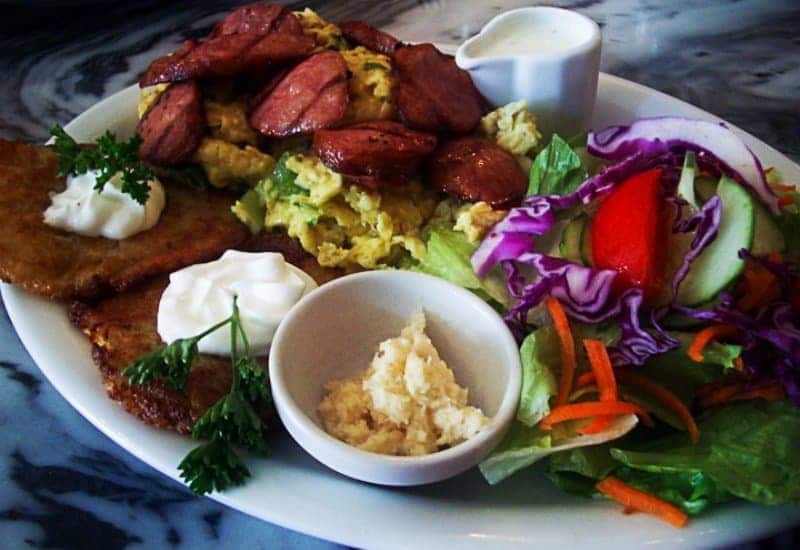 Jajecznica is a traditional Polish breakfast consisting of scrambled eggs, kielbasa, and potato pancakes. 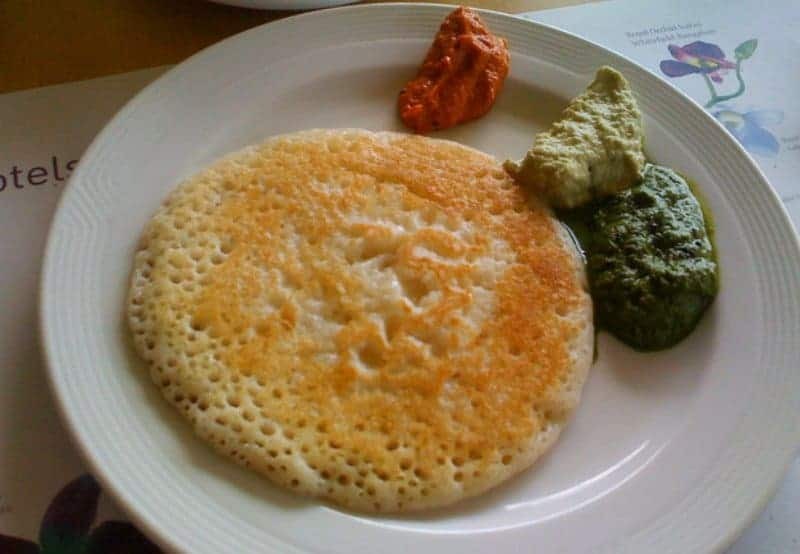 Uttapam is a savory vegetable pancake often enjoyed at breakfast time. A Turkish breakfast might consist of olives, cheese, jam, eggs, bread and honey. 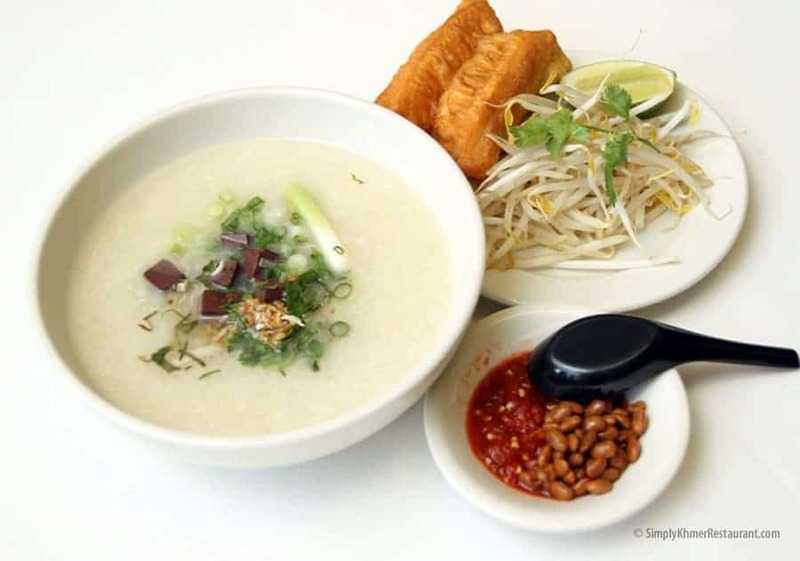 Cambodians are often overlooked in Asian cuisine, however a typical Cambodian breakfast may consist of rice porridge, called bobor. Additionally, rice and rice noodles are common breakfast items. 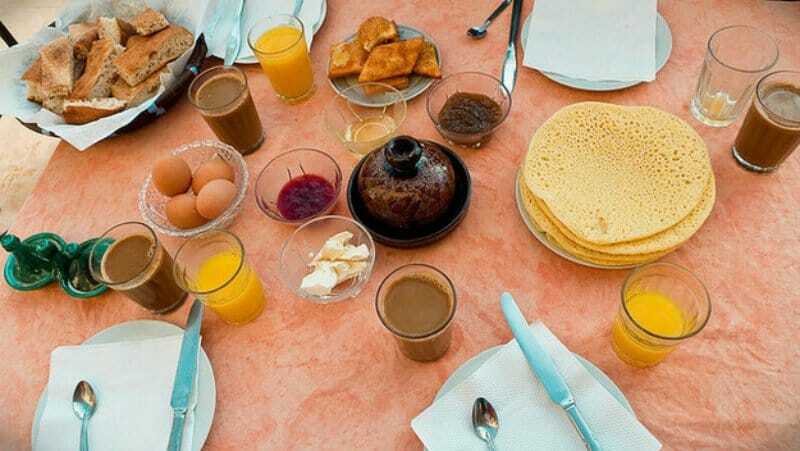 Breakfast in Morocco generally consists of sweet foods like dates, honey, bread, olives, and Turkish coffee. 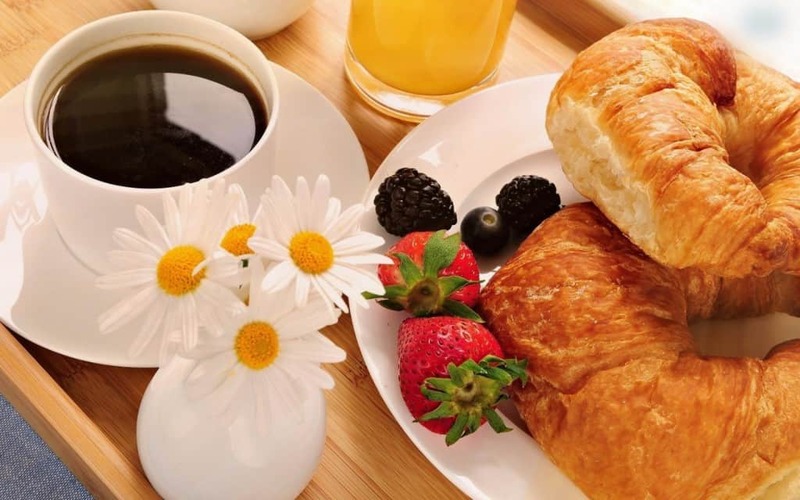 The French also stick to sweet foods and breads for breakfast, like pastries, croissants, fruits, and coffee. 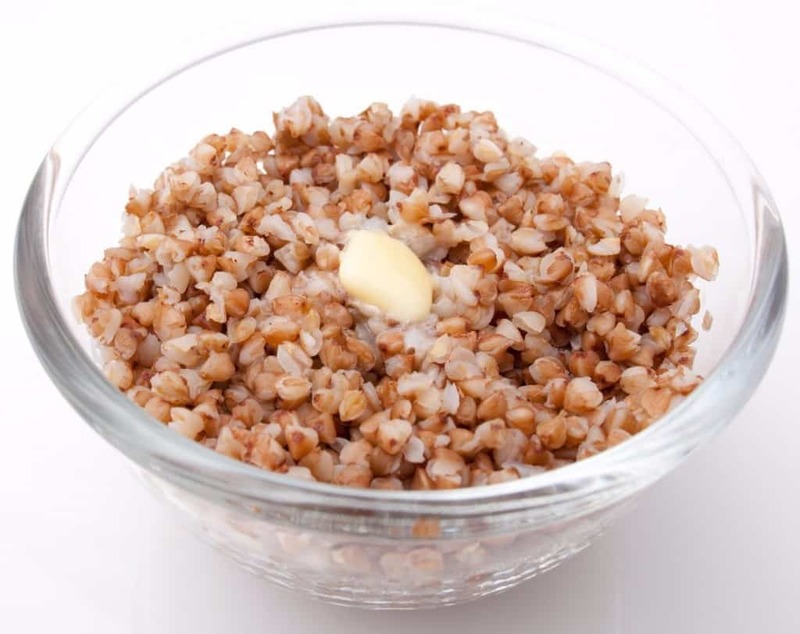 Kasha is a typical Russian breakfast of different grains made into a porridge. 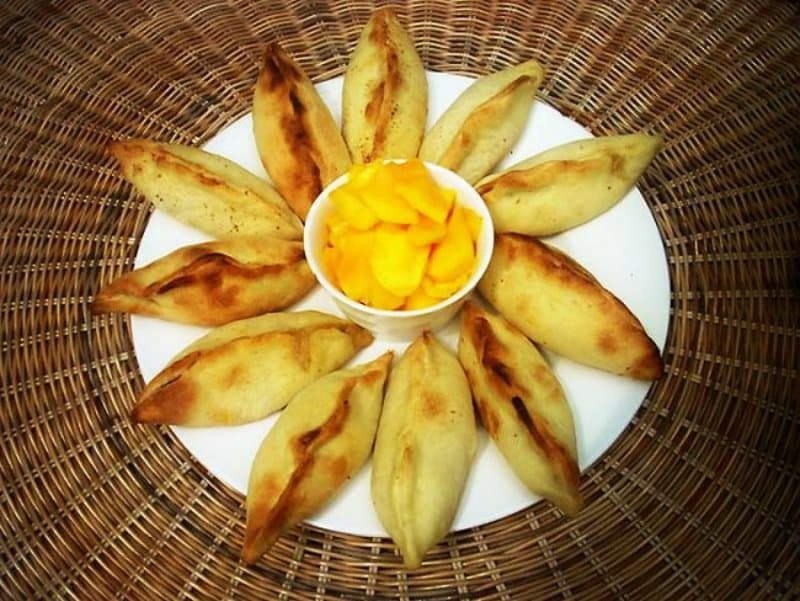 A salteña is a Bolivian baked empanada filled with beef, pork, or chicken. 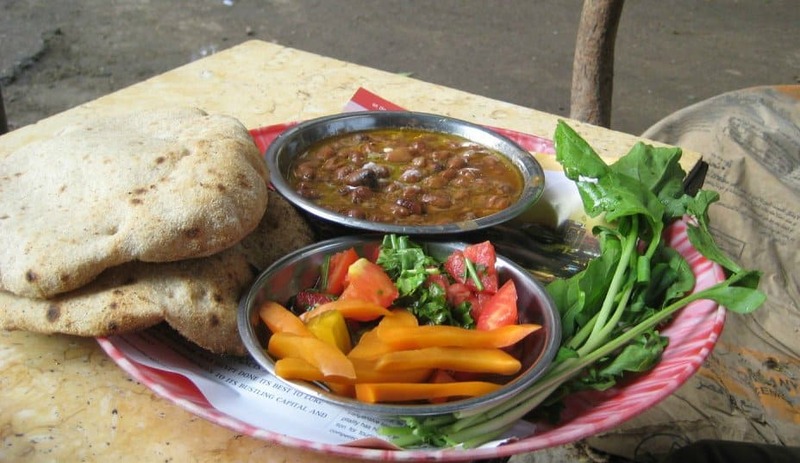 A common Egyptian breakfast dish is ful medames, which is made up of cooked fava beans and a variety of vegetables and spices.